Frozen yogurt has become a crowd favorite in recent years contributing to the growing $2 billion U.S. frozen yogurt industry. It is marketed as a healthy alternative to traditional ice cream due to its lower fat content. What many dessert lovers fail to realize is how quickly the calories and sugar can add up when consuming this sweet treat with added toppings or opting for gourmet flavors like cake batter or peanut butter cup. The USDA estimates that one cup of frozen vanilla soft serve yogurt has 220 calories, 8 grams of fat, 5 grams of saturated fat, 34 grams of carbohydrate, 26 grams of sugar and 6 grams of protein. The levels of calories, sugars and carbs only go up in flavored frozen yogurts. For example, the USDA estimates one cup of strawberry flavored frozen yogurt has 280 calories, 48 grams of carbohydrate, 46 grams of sugar with the same amount of fat and protein as the vanilla flavor.In comparison to Breyers French vanilla ice cream, which says that its ice cream has 280 calories, 14 grams of fat, 9 grams of saturated fat, 32 carbohydrate and 28 grams of sugar per one cup, the frozen yogurt looks more attractive. What you need to remember is that the estimated nutritional facts came before adding any of the yummy toppings offered in-store. Opt out of the sugary cereal or granola toppings. A good substitute for the texture and taste of these sugary options is mixed nuts. One serving of Cap’n Crunch Crunch Berries has 110 calories, 22 carbohydrate and 11 grams of sugar, 1 gram of fiber and 1 gram of protein. One serving of roasted almonds has 160 calories, 7 carbohydrate, 6 grams of protein and 3 grams of fiber and only one gram of sugar. Though the calorie count is higher for the almonds, the sugar count is significantly less and there are higher amounts of fiber and protein for extra nutritional value. Avoid piling on candy. 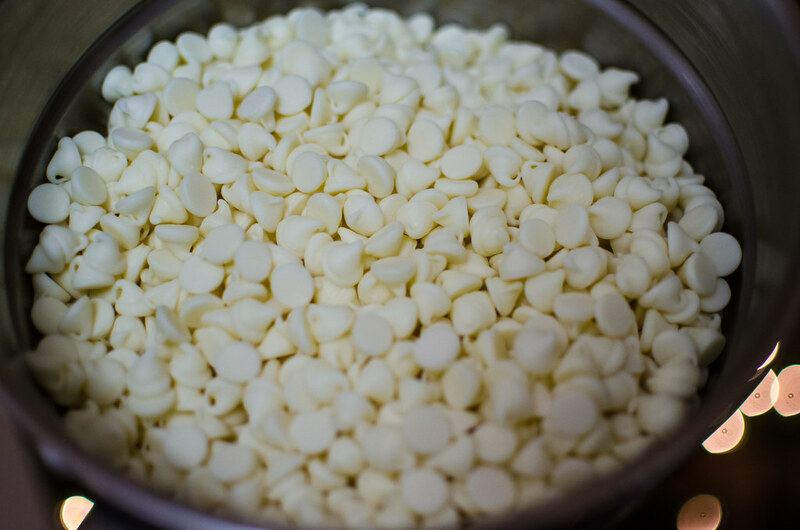 Good alternatives for chocolaty candy are semi-sweet chocolate chips, yogurt chips or carob chips. One serving of heath bar has 210 calories, 13 grams of fat, 7 grams of saturated fat, 24 grams of carbohydrate and 24 grams of sugar. One serving of carob chips has 80 calories, 4.5 grams of fat, 10 grams of carbohydrate and 10 grams of sugar. The calorie, fat, carbohydrate and sugar counts are much lower in the substitute options. Use fruit to sweeten your treat. Fruits are a healthy replacement to candy, sauces and other sugary toppings. Choose fruits in the berry family like strawberries, blackberries or blueberries. Berries are rich in antioxidants and nutrients and provide many health benefits, not to mention they are delicious. 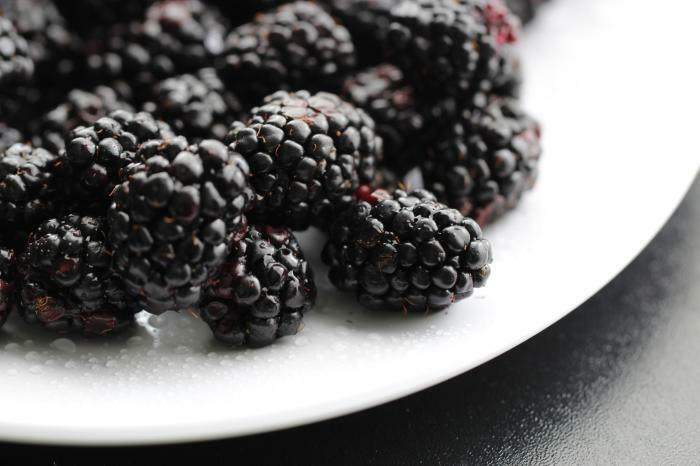 One serving of blackberries has 43 calories, 10 grams of carbs, 5 grams of sugar, 5 grams of fiber and 1 gram of protein. What healthy ingredients do you like to put on frozen yogurt? Let us know in the comments! Stop adding calories to your food. Add flavor instead!